If you're still thinking, "hang on, kom-what-cha?!" pop over here to start at the beginning where we answer, "What IS kombucha!?". We bet the next question is "Right... but WHY is kombucha so good for you?" 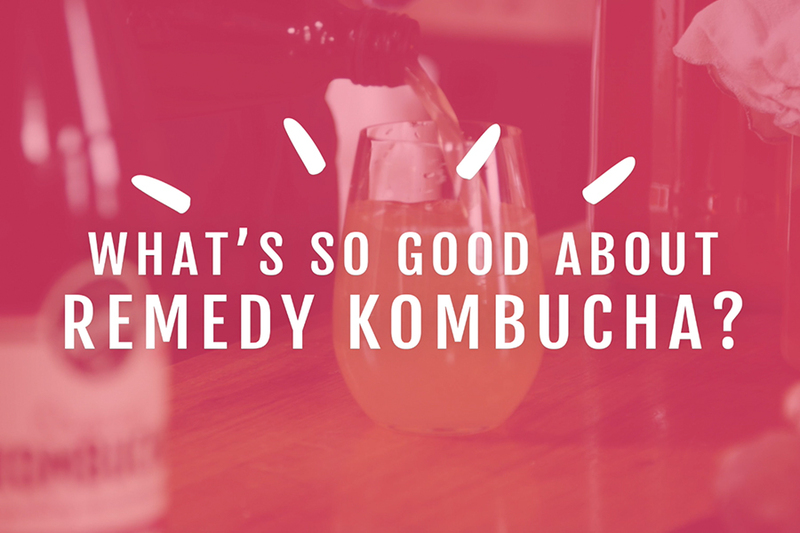 As our Remedy Nutritionist, Jacqueline Alwill from The Brown Paper Bag explains in the video above, the benefits of kombucha essentially come down to three key components: live cultures, organic acids, and antioxidants. When kombucha is fermented naturally and kept raw, unpasteurised and unfiltered, like we do at Remedy, it contains healthy, living, good bacteria, or live cultures. Every bottle of Remedy Kombucha contains literally billions of these microorganisms. These polyphenols - which come from the organic green and black tea that form the base of our brew - also play an important role as a prebiotic to increase the ratio of beneficial bacteria in your gut. The beauty of Remedy is that although sugar goes into the initial brew, it gets eaten up by the live cultures during fermentation to produce those amazing organic acids we keep raving about. Remedy brews out ALL of the sugar, and we test every batch to make sure. Which is why we have the official tick of approval from Sarah Wilson's I Quit Sugar.